Good afternoon! Today I'm sharing a quick little post of a laser tape gradient manicure that I did this weekend. This look is inspired by a manicure that The Nail Polish Challenge did for the Cool vs. Warm nail art contest. Hers is lovely in shades of blue, be sure to stop by The Nail Polish Challenge and check it out! I started with a white base -- OPI Alpine Snow, to be exact! Then, I added a coat of Seche Vite to speed up the dry time. I took pieces of striping tape and placed them over my nails in random patterns. Then, I made a gradient of American Apparel Office, American Apparel L'Esprit, and Zoya Audrina and sponged it on top of the tape. When I removed the tape, this was left! Pretty simple, really! I wasn't sure about putting such a highly pigmented shade of pink with the two pastel colors, but I actually really loved the way it turned out. I made an American Apparel polish purchase a week or two ago, and have been really impressed with the quality of their polish. I only owned one before and hadn't used it much in nail art. The formulas are thick but not clumpy... think "rich" instead! I've used L'Esprit the most so far (the purple in the middle) and can tell you that it's a lovely one coater with great control. "Pretty Simple" to you is "Impossible" to me:) Looks beautiful! this is gooorrrge. i've thought about doing something like this before but gradients still frighten me for some reason haha. i too am quite taken with the rich pink combined with the pastels. nice one bro! Gorgeous! I love the combination of colors you used for this gradient. I can't believe I still haven't purchased any striping tape! This looks amazing! The pink gives it that extra umph! I love AA cremes personally, they're my favorite and usually one coaters. Their others, like metallics and stuff are ok. This is beautiful! I love seeing these manicures even though I doubt I could pull it off. this looks absolutely wicked! Perfect Gradient. Love love LOVE!! Very pretty! Love everything about it! they look really adorable ! Olha eu de novo babando nas suas criações lindas! E seu blog ficou lindo dessa cor. Será definitivo ou apenas para o outubro rosa? Just for October, I think! :) Thanks! The colors transfer so softly into each other, very pretty! This is so perfectly beautiful! The colors you chose are exquisite and they blended in so well. Dont seem simple at all. Great colours. I will have to try this. It turned out awesome! 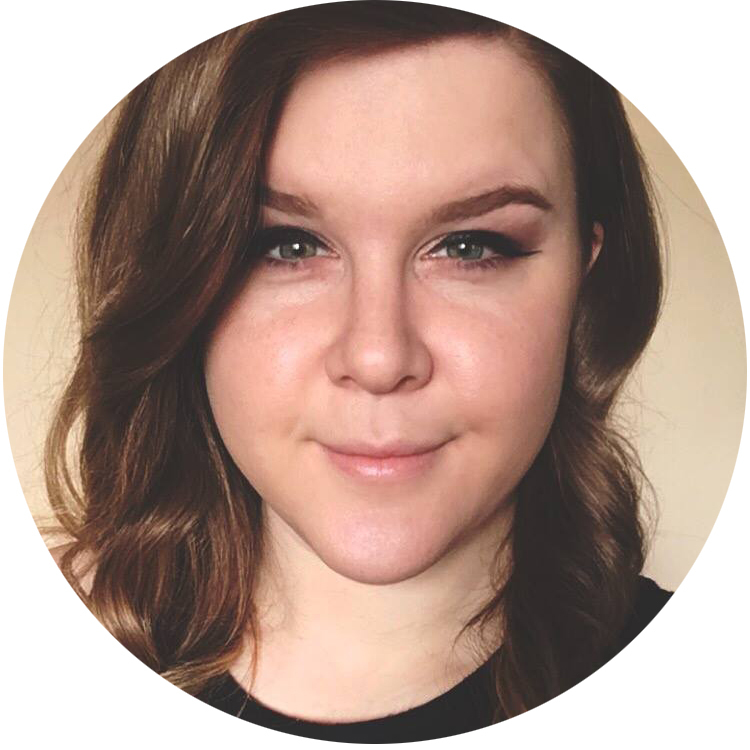 I would LOVE to see your blog "rejects"! :D Love that pink too, btw! This is so pretty. I have a mani in my photo folder using this technique it is scheduled to post on Friday. Do you mind if I let it post? I would hate people to think I am a copy cat. No, of course not! Please post it. 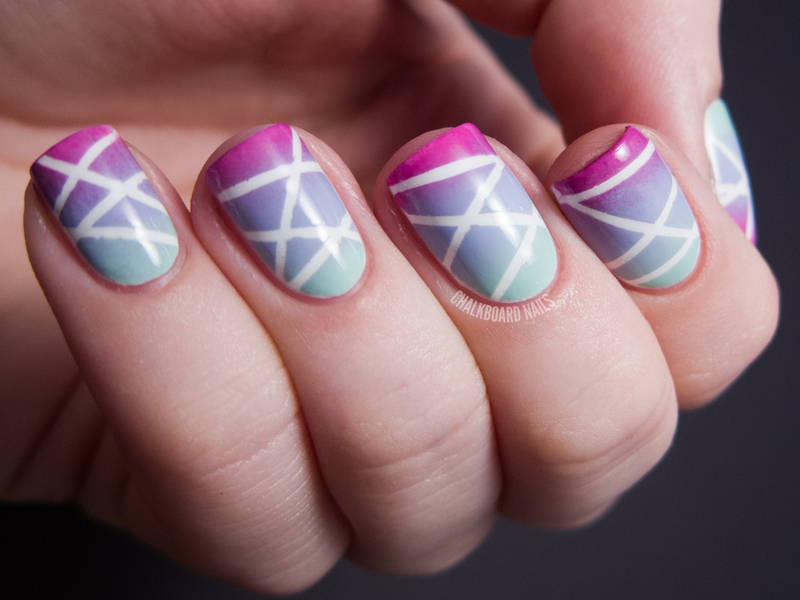 i never thought to combine tape nails with gradient, i have to try this!